Beauty Sketch by Jacq: Blogust #4 - Giveaway Time! - I have 100+ subscribers on blogger/GoogleFriendConnect! - I have 100+ subscribers on instagram! - I want to do a giveaway! 1. EITHER follow me on blogger/GFC, OR on instagram, OR on twitter. 2. Comment on this post AND another up-coming Blogust post. 2A. Comment on this post: Tell in the comments (i) if you're instagram or GFC or twitter follower + your username, (ii) your email, (iii) what blogpost(s) do you like reading most? (iv) weather of your city/town today! 2B. Comment on another up-coming post: Say whatever you like! 4. 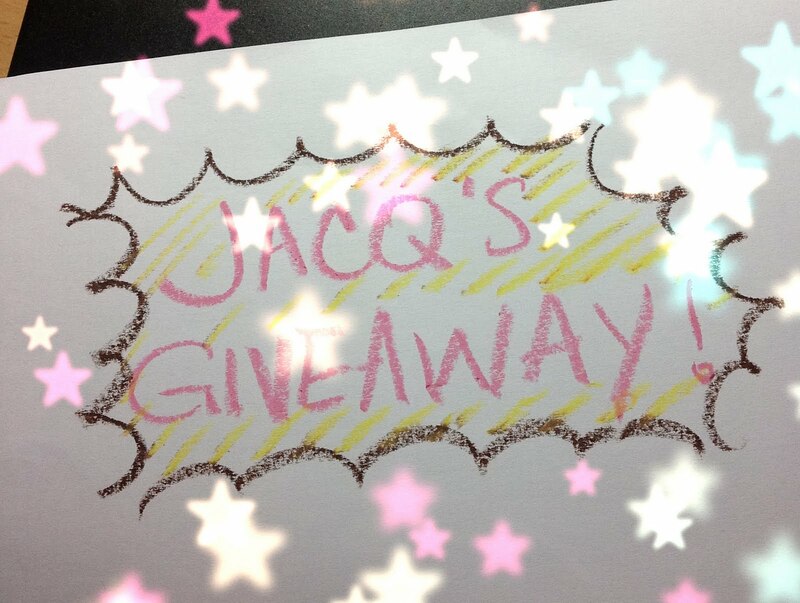 Giveaway ends on 30th Aug. I'll pick a winner from the commentators (?) below, announce it in September, and email the winner! 1st winner will get 2 items. A, to choose from Shu Uemura lash curler or Hada Labo sunscreen. B, to pick Lavender or Rosewater hand cream from Crabtree and Evelyn. If there are more than 20 participants in this giveaway, I'll draw a second winner, and she/he will get the remaining A and B items. Have a fabulous Awesome August. I'll be busy with my Blogust project. Any special plan of yours to share? I'm sure whatever you choose to giveaway it'll be good! @Kay, thanks for your suggestion. I see you in my GFC followers but not on twitter, perhaps you can request to follow again? oops I've only just checked your reply, I've requested to follow again on twitter, let me know if it doesn't work again! I like reading your haul posts and sheet mask reviews, we don't really get them in the UK so they always intrigue me! In Ayr it is sunny and warm for a change! Please come back in Blogust to read and comment on my other post(s)! (iii) I like reading haul and inventory posts. cool! it is too hot for my tolerance to go to the beach now in Hong Kong. I feel like i can be burnt and faint any second i'm out the door! love reading your review post! thanks for joining my little giveaway, mimika! i will do more reviews for sure!!!! Wow! I truly come and drool at all the goodies you have! I'm following you in instagram (@yessers) and bloglovin' (I tried looking for you in twitter-I'm cinnamonandzoey on twitter). I love your hauls, and of course skincare reviews! weather in HK today is weird, sunny, hot and rainy without much wind. probably coz a big typhoon is approaching! I love looking at your swatches and looking at the beauty events you attend. Hi Jacq! Well you already know I stalk you using every method possible lol!! It's been raining on and off over here too, rather weird... :) wish you good weather! I like reading your empties post. Man, you are so good at finishing products. I could learn a thing or two from you. haha. I just made a new goal of finishing up the box of shampoo and conditioner samples I have. Wish me luck! It's hot Japan. Oh so hot!! good luck at finishing your hair samples! I'm also in a big need to use up a lot of skin care! I like reading your haul posts. Thank you @nagrade, you are entered! Hi Pinkii ii, it shows Pinkii ii :D you're entered. (iv) It's sunny and so hot here today..
hi, this is a great giveaway! I don't have tom ford make up here either. But I do own a few pieces of Burberry. Maybe I'll do a post on that later. Hi Hana, thanks for following. Pls come back again to read and comment on other Blogust posts! It's sunny and hot today in Anapa, Russia!